BAGLUNG, March 20: The Balewa Airport that remained closed for nearly three decades has come into operation. The dream of Baglung dwellers for airplanes to take off from their own backyard has finally been fulfilled as Tara Air's 19-seater 9N-AKL airplane was successfully tested, the first flight at the airport in 26 years. 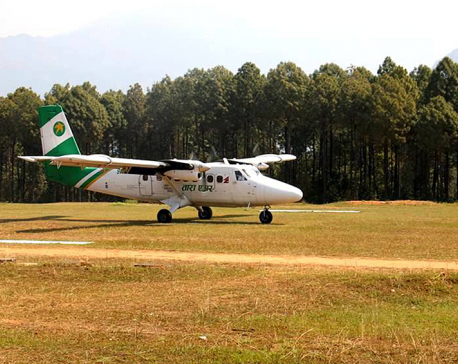 Civil Aviation Authority, Nepal (CAAN) has now planned to operate regular flights at the Balewa Airport situated at Baglung Municipality - 14, Narayan Sthal. 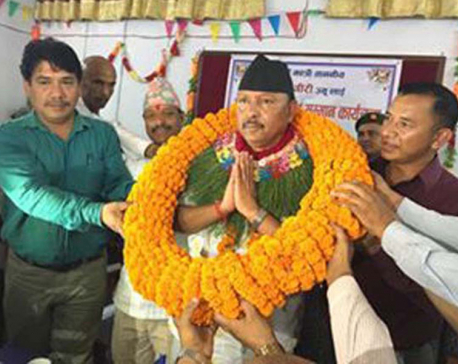 The Tara Air aircraft landed with officials of CAAN along with technicians landed at the airport runway at 11am, Monday, who were welcomed at the airport with garlands of flowers by the local representatives. Pilot Prabhakar Prasad Ghimire stated that there was no problem on conducting regular flights at the airport. “There is no problem regularly operating flights at the Balewa Airport. However, the trees surrounding the airport have been chopped to half, which for convenience must be completely uprooted. Likewise, the runway might be risky during the monsoon,” he stated. According to Ghimire, it is necessary to black top the runway and also make parking space for at least two aircraft. With the regular flight service resumed at Balewa Airport, Baglung will be just 45 minutes away from Kathmandu via air route and Pokhara, just eight minutes away. 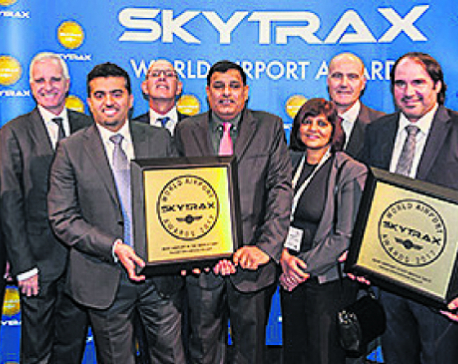 The airport remained shut after the construction of Pokhara-Baglung Highway in 2048 BS which made it easier for travelers to travel between the two districts via road network rather than through flight via Balewa airport, which was not easily accessible. The Balewa Airport which was converted into a grazing ground for cattle following years of being unused has now been made capable to accommodate aircrafts. 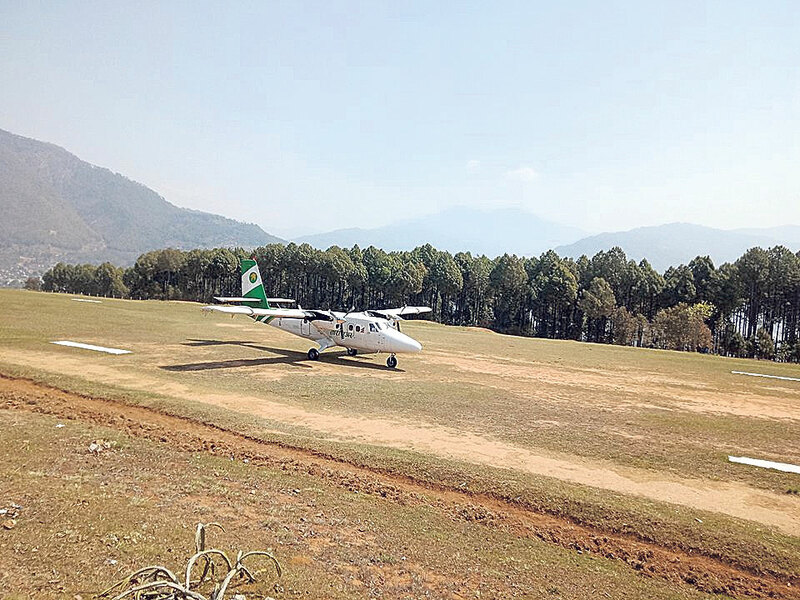 Upon the agreement between Baglung Municipality and CAAN to operate the Balewa Airport, the locals have shown enthusiasm to cut down more than 700 trees to provide safe passage to the airplanes to the airport. According to the mayor of Baglung Municipality, Janak Raj Paudel, regular flights at the airport will resume after Friday. Currently, two 12-seater flights from Nepal Airlines Corporation and Tara Air are set to operate every week. PARBAT, March 19: An aircraft of the Tara Air landed at Balewa Airport for the first time in 16 years.